"Fiber to where you can make money" is a good way to evaluate various fixed network access methods. For cable TV operators, the issue is fiber deep into the neighborhood. For some telcos, that is the same issue. For some telcos, fiber to the premises is the choice, but the issue of revenue generated by such networks remains. For fixed wireless networks, the issue is fiber to tower or building. For mobile operators, the issue is fiber to the macrocell or fiber to the small cell. In other words, the issue is not the choice of physical media, or the topology, but the revenue that any given deployment can generate. And, at a time when voice revenues are declining, and where facilities-based competition exists, the financial returns from fiber to the home often are questionable. The choices are even more difficult for any telco operating in a market where cable TV firms are active, serious competitors. Stranded assets then are the real issue, as up to 60 percent of deployed assets can routinely be stranded (assuming cable TV gets 40 percent to 45 percent share, the telco gets 40 percent share, while other suppliers get 15 percent to 20 percent market share. In other words, the issue is to deploy “fiber to where you make money.” That is true for all fixed network suppliers, including cable TV firms using hybrid fiber coax technology. 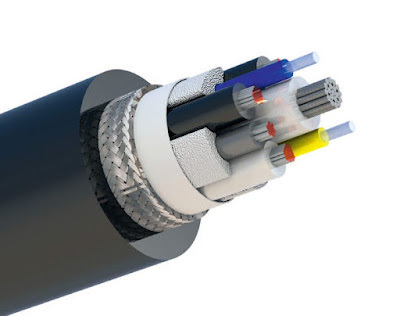 Assuming fiber is deployed rather deep into the network, coaxial cable can carry huge amounts of bandwidth.